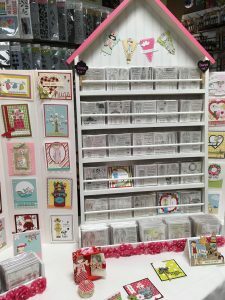 The Paper Sweeties™ LLC stamp line was created based on my passion for everything paper, glue, ink, glitter and whimsical charm! I came up with the original design concept for the line of dolls with interchangeable outfits and accessories in June, 2010. I spent two years searching for an artist to bring my designs to life, but after three different starts and stops, realized that it was going to be extremely difficult to translate the ideas in my head to paper through anther individual. At this point, I was ready to give up on my dream, but my husband encouraged me to do it myself! At first I thought this was an impossible task because I had no formal graphic art training, but as with all things practice makes perfect! I started slow practicing with the doll bodies first and then moving onto outfits to fit them! I had to invest in equipment and teach myself how to use Adobe Illustrator, Photoshop and an electronic drawing tablet! The more I illustrated the more confident I became in my ability! 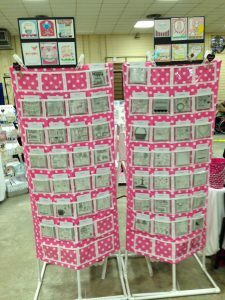 After bringing the Paper Sweeties dolls, outfits & accessories to life, I added follow up sets with beautiful frames, labels, banners, sentiments and fun images! I officially launched my business in August, 2012 — what a proud day — a dream come true for me! Some of my fondest childhood memories are of playing with my beloved paper dolls for hours on end! I used to create the most fun and magical play world for my dolls to live in, and would have the best time changing their outfits to suit each and every occasion. Each day brought a special and exciting new adventure for my dolls to embark on which also required the requisite outfits for the best-dressed fashion doll to be seen in! 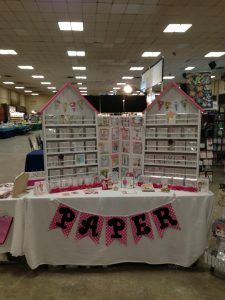 It was a natural progression to take my love of paper crafting and branch out into the design world creating these sweet little dolls with the most adorable outfits and accessories. The additional images we offer allowed us to expand our line to reach a broad base of paper crafters! I’m just a little girl at heart who still enjoys playing with dolls and dressing them up – and completely addicted to all things paper and glue! 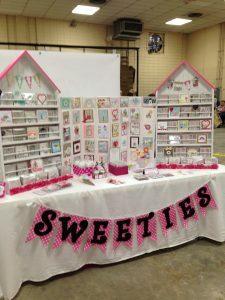 I’m excited to offer the Paper Sweeties stamps to paper crafters who enjoy having fun while creating! You’ll enjoy dressing up these little dolls and incorporating them into your paper crafted cards, scrapbook pages, art, invitations & party favors, home decor, gifts and so much more. The variety of all-occasion sentiment, accessory, frames and label sets will allow you to create paper treasures that will surely become keepsakes! The possibilities are endless and only limited by your imagination! There is nothing more special than giving a handmade from the heart gift to a special friend or loved one. This journey taught me that perseverance and determination prevails … and if you can dream it, you can do it!